Drawing flowers and leaves can be challenging at times. There are so many different variations that can be adapted and designed to fit the particular look that you are looking for within a pattern. It is very easy to get in the habit of using the same flower and leaf combination in all of your designs, especially if they work well and you can draw them quickly. I don’t think there is anything wrong with using only a few different combinations of these elements in the majority of your designs and this usually will lead an artist to develop his particular style. The thing that I want to challenge you to do is to work on at least stretching your skill set in designing some new ones from time to time. 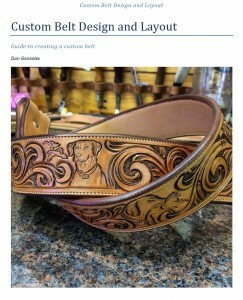 In this article I will show you my process for brainstorming new designs and how I use the process within my pattern layouts. Designing a new flower and leaf combination can lead you to discover a completely new style within your work. This is also a great way to rediscover some of those older ideas you had and make them work a little better now.